For the last three years I have been teaching Pilates through my company AnnaFit, now I look forward to sharing my passion and training for Pilates, with you, at Flow Pool & Studio. I am a fully qualified classical mat Pilates instructor, with STOTT Pilates training to advanced level for Mat and Reformer equipment, with training in Cadillac (in progress) Chair and Barrel. In addition, I am trained in Total Barre and have studied Sports Nutrition. I am a REPS registered personal trainer. 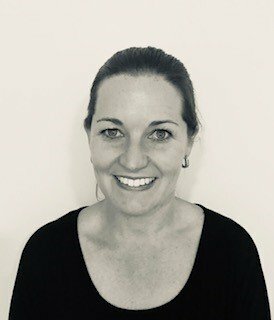 Ensuring that I am fully qualified and up to date with the latest techniques is important to me so that I can offer you the best and most up to date Pilates experience possible, starting you on your path to Mindful Movement. No matter whether I am working with you individually or as part of a class, I ensure that the exercises suit your body and your personal requirements, so that you progress on a positive, safe and enjoyable journey to improved fitness and flexibility. I can also tailor make a specific Pilates routine to suit specific health or sports issues and objectives. 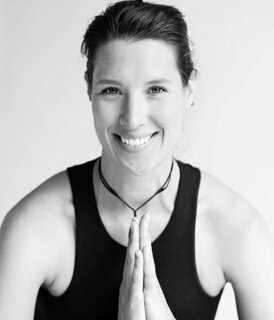 My journey to becoming a Pilates instructor started during my career as an international flight attendant with Air New Zealand, after being very active in a range of sports at school, following a long flight I needed a way to re-energize my body and mind. Gym classes and Pilates offered this energy, and I quickly realised I wanted to not only learn more about Pilates but also share my passion by teaching others. I began teaching yoga in 2015. I love the fluidity of movement, strength & flexibility I gain from practice. No matter how I feel when I start a session I always feel amazing at the end. Yoga has taught me patience & the ability to work with myself instead of against. I am now more allowing instead of forcing change to happen. We have the opportunity every time we practice to learn something new about ourselves and the way we move, think, act and breathe. We can have some incredible ‘aha’ moments during class but the real benefits come when we can take those moments with us outside into our lives. I now want to help others achieve these amazing results for themselves!!! It inspires me to see the positive changes people can make in their lives using these tools, both physically & emotionally. I believe balance is the key. Especially in this day & age when stress is such a predominant part of everybody’s daily life, to be able to take time out & recalibrate is essential. My journey with yoga started at age 27 when I was training to climb Mt Kilimanjaro and needed something to help with my aches and pains. I stumbled across a Bikram Hot Yoga class and after just one class I was hooked! Not only did my physical body feel amazing and energized but I experienced a mental clarity and calmness that was incredibly refreshing and blissful. And so began my life-long journey of Yoga, and exploring what it is about yoga that impacts our lives so positively. The demands of Motherhood meant that I had less time for yoga over the last three years, and I missed it terribly! Reconnecting with yoga has been a wonderfully humbling journey; I have found myself dealing with physical challenges and there have been some mental obstacles to overcome as well. It’s difficult to put into words, but simply; life just feels better with yoga in it! I’m here teaching today because I really do believe Yoga is for EveryOne and EveryBody. I am passionate about sharing Yoga and bringing its many benefits into your life. I am excited to be a part of Flow and look forward to seeing you in class soon. I am a trained School Teacher, a Personal Trainer and a Group Fitness instructor with experience in many different types of classes. 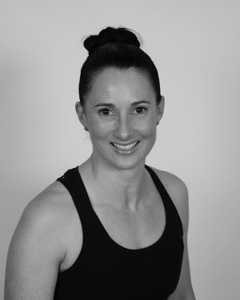 I began leading group fitness circuit classes for Seniors 15 year ago and I currently teach BodyPump and RPM at the EA Fitness Centre in Ashburton. I also have several Ladies and a Men’s group that I run around Methven as well. I have also enjoyed being an instructor for several years at the Mountain Gym here in Methven. I love helping people work towards creating a better, healthier version of themselves through exercise and seeing their improvement, enjoyment and success. I am looking forward to taking Aqua based classes and being part of Flow Pool and Studio. After travelling overseas Alice returned to New Zealand and qualified in a Bachelor of Physical Education, majoring in Exercise Science and Exercise Prescription. 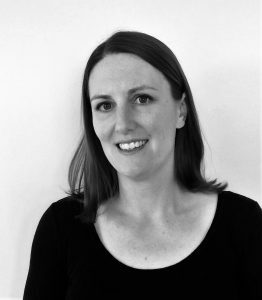 Wanting more, Alice went on to Australia in 2007 to study a Post Graduate Masters in Physiotherapy in Perth. 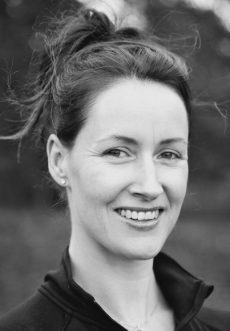 This is where she started her Pilates career training in a number of internationally recognised organisations that tied in perfectly with physiotherapy. Alice’s Physiotherapy philosophy is simple. Knowledge is power. 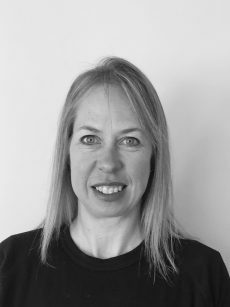 By using musculo-skeletal assessment, biomechanical movement and clinical Pilates she is able to seek the cause of the problem through a comprehensive and personal approach. Alice enjoys teaching and helping people learn new ways to move and think. By actively involving the client, it allows her to give personalised control of rehabilitation and recovery. 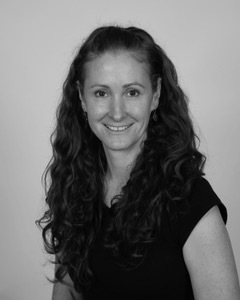 She strongly believes in the benefits of exercise for rehabilitation, injury prevention and general health and wellbeing. “Ultimately my aim is to provide you with the knowledge to help you manage and prevent injury, improve your performance and overall wellbeing”. After experiencing the benefits of flotation therapy I am excited to be part of the Flow Teamand offering ‘floats’ here in Methven. I am a busy Mum of four and a volunteer ambulance officer, so finding time for myself is not easily accessible but such an essential part of my life. I look forward to meeting you and taking you through the process of flotation therapy here at Flow. Emotionally challenged or drained? Ignoring what you need? Hi friend! Yep, that was me and (let’s be real) still is sometimes. Yoga entered my life at a pivotal moment and sparked the reconnection to myself. I realised yoga was so much more than asana (poses) and exercise. Inspired, I journeyed to yoga’s motherland, India, where I completed 200hrs of teacher training. I had heard that India is an assault on the senses; what I can say is that the experience was unforgettable and is forever etched in my memory! Empowered, I returned home excited to share the rich and traditional teachings which embrace body, mind and spirit. In class, you can expect aspects of mindfulness, meditation, pranayama (breath exercises) and yogic philosophy gently and accessibly woven into an asana practice. My desire as a teacher is to help you be authentically joyful being authentically you. I would be honoured should you decide to share your practice with me.